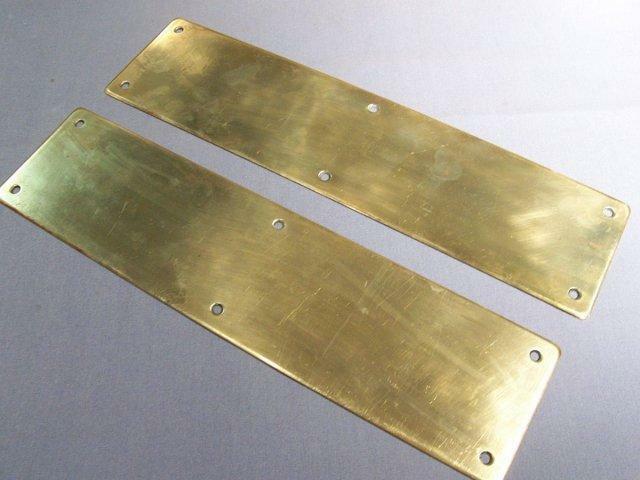 Price Is For This Pair Of Old, Solid Brass Push Plates, That Have A Little Lighter Polished Brass Tone, Than Seen In Photo. Have Minimal Common Wear With Appx. 14" x Slightly Over 3 7/16" Overall Measurements. 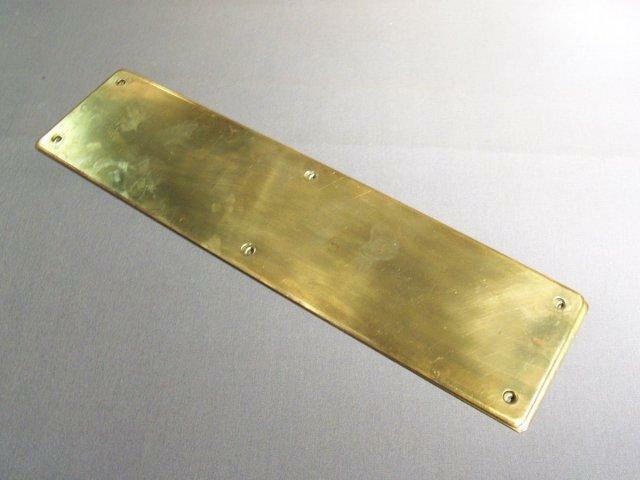 These Mount By Six Screws Into The Front Of The Plates. Please Email Or Call Us For The Shipping Cost, Before You Submit Payment. Purchaser Pays Shipping.